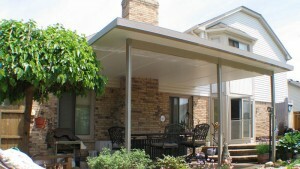 If you would like more information about TEMO patio covers – or any other kind of structure that TEMO manufactures, such as a sunroom, screen room, or pergola – contact U.S. Patio Systems and Home Remodeling. We are an official dealer of TEMO products specializing in patio cover installation, sunroom installation, pergola installation, basement finishing, bathroom remodeling, and more. Our company mission is to enhance homes using high quality products from reputable manufacturers that deliver long-term value. U.S. Patio Systems and Home Remodeling offers better products, better customer service, and better warranties for the price than any other local remodeler or home improvement contractor.